DO NOT EAT HALAL MEAT! THIS IS COMING AND LOOK OUT FOR THIS INTRUSION IN U.S. and CANADIAN MARKETS... “Halal”meat... are you aware of this? Take a look and forward to your friends and family. Do Not buy this meat! "Costco stocking their meat counters with "Halal" meat." For lawful (halal) meat in Islam, the animal must be killed while the butcher faces Mecca, and either the butcher cries "Allah Akbar" or a tape plays the words over a loud speaker. Ann Barnhardt is a cattle commodities broker, has more about "Halal." 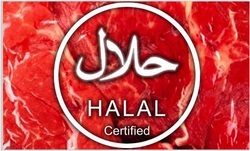 NEVER buy meat that is marked as "Halal." I am in the cattle business, and believe me when I tell you that Halal kill plants are CONSTANTLY being cited and shut down by the USDA for horrific infractions. Most of these plants are in Michigan and upstate New York..
One of the things that halal kill plants are notorious for is putting already-dead animals in the human consumption line. They will go pick up a dead cow off of a farm or ranch and instead of putting it in their rendering tank where the resulting "tankage" is worth pennies on the dollar as pet food or industrial products, they will shackle the dead animal on the normal kill line and process it as human food which is the highest-dollar product. Since Islam teaches dishonesty (taqiyyah) and no regard for one's neighbor, this kind of sickening behavior is standard. Halal plants are also notorious for general citations for filth and uncleanliness. I have toured normal cattle slaughter plants, and guys, you could eat off of the floor. Everything is white and men walk around with water hoses and steam guns constantly keeping everything in a state of spotlessness. Halal plants are filthy. A lot of Halal meat is also labeled as "organic." Again, don't be fooled into thinking that "halal" means "better." It isn't. I would never, ever knowingly eat halal meat purely from a food safety perspective. I had an unfortunate encounter with chemicals sprayed onto my farm from a relatively low altitude on May 30, 2012. My trees and vegetation were badly damaged and I was made sick. I am still not fully recovered from whatever rained down on us. I am concerned about my horses and other animals who must remain outside and eat the grass and breathe the air. I have been watching my beautiful old oaks and other trees declining and dying for several years now. My throat and sinuses were burned so badly that they are still slightly affected one month later. I am furious as I have no one to hold accountable for this attack. I will appreciate any assistance or advice you have, and count me in as one of your warriors in this fight against these most horrible crimes against humanity and our Earth. With each death of my beautiful trees I have lost a friend. I am helpless to save them, and that feels terrible. I am also caring for my elderly mother and do not need this grief and worry at this time - it is almost more than one can bear. Thanks for being there and for listening to my story. Utah Department of Agriculture and Food is asking people to voluntarily register their gardens with the USDA. That's right: Register their gardens! They claim they just want to know how much food is being grown, but anyone who has followed the actions of these agencies (and the corporate food suppliers they serve) knows that their more likely goal is to find out who is potentially food-independent and then regulate them out of business. Pollination: it's vital to life on Earth, but largely unseen by the human eye. We do not believe that anyone on Earth wants to deliberately destroy nature but there are those who wish to destroy our food sources in their cause for depopulation. Monsanto with it;s genetically modifying agenda telling us ROUNDUP is one of those things greater than Peanut Butter killing everything in it's path including our bees. Then we have Gerber, Abbott Nutrition Labs, Mead Johnson, Walmart, Kellogg's and the Federal Government force-feeding genetically modified organisms (GMOs) to the most vulnerable among us: our children. This does not even address what is fed to our cows which ends up in the milk. Or For decades, half of all childhood vaccines contained a chemical preservative called Thimerosal. It is made from mercury, one of the most poisonous substances on Earth.! Approximately 12 out of the 18 vaccine doses the average American child receives before the age of two contain Thimerosal. Cumulatively, that's more than 200 micrograms of mercury, which would fit on the head of a pin. So, who is trying to destroy the Earth? The citizens who go to work and try to take care of their families or the very people who have implemented all these high costing regulations which are focused on deliberately hurting the citizens and the very Earth we live on and the air we breathe with their GMO's and all the other additives being used! Top Genetically Modified Foods! Danger! GMO rice being grown in Kansas. 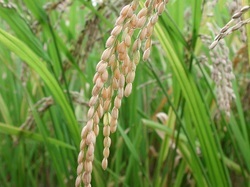 Unless the rice you buy is certified organic, or comes specifically from a farm that tests its rice crops for genetically modified (GM) traits, you could be eating rice tainted with actual human genes. The only known GMO with inbred human traits in cultivation today, a GM rice product made by biotechnology company Ventria Bioscience is currently being grown on 3,200 acres in Junction City, Kansas -- and possibly elsewhere -- and most people have no idea about it. New York, NY / Washington, D.C. - School districts around the country are now deciding whether to continue using a type of ground meat, pejoratively labeled "pink slime" by food activists, that has been used safely for years. If school administrators abandon the science by buying into the "pink slime" hype, they'll not only be setting a bad example for their students, they'll be wasting taxpayer dollars, says the National Center for Public Policy Research. Armed Raids On Small MI Pig Farmers ! Natural News can now confirm that the Michigan Department of Natural Resources has, in total violation of the Fourth Amendment, conducted two armed raids on pig farmers in that state, one in Kalkaska County at Fife Lake and another in Cheboygan County. Staging raids involving six vehicles and ten armed men, DNA conducted unconstitutional, illegal and arguably criminal armed raids on these two farms with the intent of shooting all the farmers' pigs under a bizarre new "Invasive Species Order" (ISO) that has suddenly declared traditional livestock to be an invasive species. RAW MILK - BETTER FOR YOUR FAMILY? Raw Milk is a living food rich in bio-available micro-nutrients and macro-nutrients derived from healthy, grass fed pastured cows free of antibiotic's and hormones just like nature intended. Pasteurized dairy is a dead food with denatured, bio-unavailable nutrients that creates inflammation in the body leading to bodily dysfunction. This video takes a look at the history or milk and provides an easy to understand comparison between raw milk and pasteurized/homogenized milk. Make the choice that's best for you. WHY IS THE GOVERNMENT SO INTERESTED IN WHETHER WE CHOOSE TO DRINK RAW OR WHOLE MILK - MAYBE THE MILLIONS $$ DAIRY INDUSTRY? 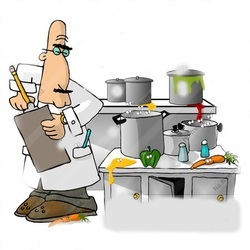 Title I - Improving Capacity to Prevent Food Safety Problems Amends the Federal Food, Drug, and Cosmetic Act (FFDCA) to expand the food safety activities of the Secretary of Health and Human Services (HHS), including to authorize the Secretary to inspect records related to food. Exempts certain establishments that sell food directly to consumers, such as roadside stands, farmers markets or participants in a community supported agriculture program, from specified requirements of this Act. Requires each owner, operator, or agent in charge of a food facility to identify and implement preventive controls to significantly minimize or prevent hazards that could affect food manufactured, processed, packed, or held by such facility. Sets forth provisions governing exemptions from such requirements for certain facilities. 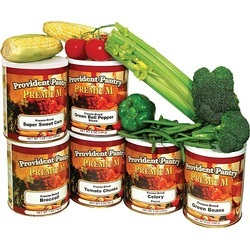 Requires the Secretary to: (1) issue guidance documents to reduce the risk from the most significant food borne contaminants; and (2) establish minimum standards for the safe production and harvesting of fruits and vegetables based on known safety risks. Authorizes the Secretary to issue exemptions and variances from such standards. Directs the Secretary to assess and collect fees related to: (1) food facility re-inspection; (2) food recalls; (3) the voluntary qualified importer program; and (4) importer re-inspection. Directs the Secretary to develop voluntary food allergy and anaphylaxis management guidelines for schools and early childhood education programs. Title II - Improving Capacity to Detect and Respond to Food Safety Problems Requires the Secretary to: (1) allocate resources to inspect facilities and imported food according to the known safety risks of the facilities or food; and (2) establish a product tracing system to track and trace food that is in the United States or offered for import into the United States. Requires the Secretary, acting through the Director of the Centers for Disease Control and Prevention (CDC), to enhance food borne illness surveillance systems to improve the collection, analysis, reporting, and usefulness of data on food borne illnesses. Gives the Secretary the authority to order a recall of an article of food. Title III - Improving the Safety of Imported Food Requires U.S. importers to perform risk-based foreign supplier verification activities to verify that imported food is produced in compliance with applicable requirements related to hazard analysis and standards for produce safety and is not adulterated or mis-branded. Requires the Secretary to establish a program to expedite review and importation of food offered for importation by U.S. importers who have voluntarily agreed to participate in such program. Authorizes the Secretary to: (1) require a certification that an article of food imported or offered for import complies with applicable requirements of this Act; and (2) enter into arrangements and agreements with foreign governments to facilitate the inspection of registered foreign facilities. Requires food to be refused admission into the United States if permission to inspect the food facility is denied by the facility owner, operator, or agent or the foreign country. Sets forth provisions governing the establishment of a system to recognize bodies that accredit third-party auditors and audit agents to certify that foreign entities meet applicable FFDCA requirements for importation of food into the United States. Title IV - Miscellaneous Provisions Authorizes appropriations for FY2011-FY2015 for the activities of the Center for Food Safety and Applied Nutrition, the Center for Veterinary Medicine, and related field activities in the Office of Regulatory Affairs of the Food and Drug Administration (FDA). Directs the Secretary to increase the field staff of such Centers and Office. Establishes whistle blower's protections for employees of entities involved in the manufacturing, processing, packing, transporting, distribution, reception, holding, or importation of food who provide information relating to any FFDCA violation.